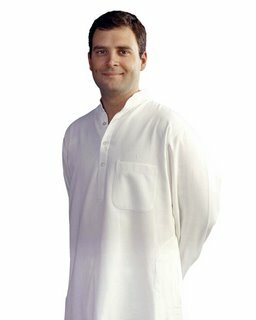 Before some doubted but after the elections it is clear that Rahul Gandhi is the new youth icon. He is an idol for many of us , an inspiration for even more. Rahul has been taken as the next step in the face of Indian politics as he marks the beginning of youth involvement in Indian politics. It is very clear after the elections that Indians afre fed up of BJP’s Hindu policy ond of over-aged illiterate politician. Congress came into power the second consecutive term with Prime Minister Manmohan Singh only next to Jawaharlal Nehru to be elected as the supremo more than once. Myself being a part of the next-gen of voters wanted someone much more literate and who would come out of the blame-game and think of the development of the nation and with congress supporting young entrepreneurs such as Rahul Gandhi, Sachin Piltot and others was the ultimate choice. Indian public also see Rahul as the next PM and if he stands for that i am sure he will undoubtedly win but that would take a lot of time yet.I am partial to BJP, in fact my whole family has been so-called BJP minded but due to unfilled promises and useless issues by them led many other like us to switch sides. So this post is further dedicated to highlighting what made Rahul Gandhi what he is today. Rahul Gandhi was born on 19 June 1970 in New Delhi and is currently an Indian politician and represents constituency Amethi.Rahul Gandhi belongs to the most famous family of India ,”The Gandhis”. His father Rajiv Gandhi, would later serve as Prime Minster of India before being assassinatedon 21 May 1991 (By Liberation Tigers Of Tamil Elam) . His Italian-born mother Sonia is the current Congress President. He was 14 years old when his grandmother, Prime Minister Indira Gandhi, was assassinated. His great-grandfather, Jawaharlal Nehru, was the first Prime Minister of India, and his great-great-grandfather Motilal Nehru was a distinguished leader of the Indian independence movement. Rahul Gandhi attended Modern School, New Delhi before entering the The Doon School. The Doon School had been his father’s alma mater. Rahul Gandhi attended Doon from 1981-83 before being home-schooled for security reasons.His admission to St Stephen’s College was controversial as he was admitted on the basis of his abilities as a competitive pistol shooter, which was disputed. He left the College in 1990, after one year of education. He studied in Rollins College in Florida where he completed a B.A. in 1994. Gandhi has received a MPhil in Development Studies in 1995 after attending Trinity College, Cambridge from October 1994 to July 1995. This was confirmed by the University after doubts were cast on Gandhi’s background during the parliamentary elections in 2004. Many of us don’t know this but Rahul Gandhi worked in London with a Strategy Consultancy firm Monitor Group, before returning to India in late 2002 to run an engineering and technology outsourcing firm in Mumbai. He won a seat in the 2004 parliamentary election from Amethi in Uttar Pradesh by a margin of 300,500 votes. Gemini, and if you believe astrologers, this is what he is like: Communicator. Social, outgoing. Sees and blends opposites/both sides of an issue. Vivacious, quick, flexible, versatile, lively and changeable. Mentally ambitious. In 2004, he was reported to have been dating Veronica, an architect from Spain. The two met while at university. Rahul Gandhi counted the 1971 break-up of Pakistan among his family’s “achievements”. This statement invited criticism from several political parties in India, as well as from notable people in Pakistan including the Foreign Office spokesperson. Well-known historian Irfan Habib remarked that the comments were “..an insult to the Bangladesh movement.